April 16th. An unremarkable by any standards. However, for some, today is 'Mortgage Freedom' day, the date when they have earned enough money to cover their mortgage payments for the rest of the year. According to research by Halifax, this is based on the current average annual mortgage repayment cost of £8729 and the average net annual income of £28,752. Interestingly, ‘Mortgage Freedom’ day also fell on the 16th of April in 2018 suggesting little change in affordability for home owners across the year. Indeed, since 2014, the date has moved back by just six days as wage growth and house prices remained relatively stable across the period. Andy Bickers, Mortgages Director, Halifax, said: “If every penny earned this year went towards their mortgage today would be the day that the average UK borrower could celebrate paying off their mortgage for the year. While on its own the significance of this date is hard to comprehend, comparing ‘Mortgage Freedom’ days year-to-year allows for quick comparisons on affordability. Specifically - how much people are earning against how much they are spending on their mortgage. 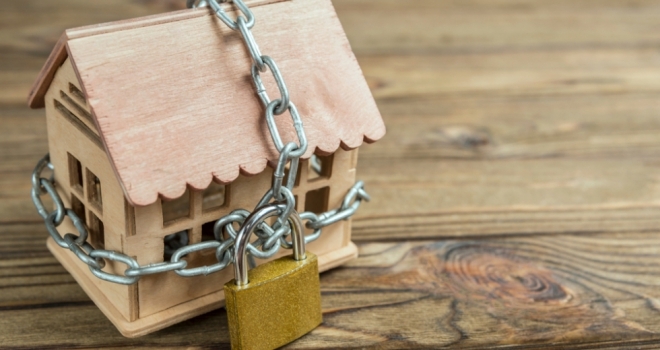 Therefore, with both house prices and UK average earnings continuing to rise, it makes sense that ‘Mortgage Freedom’ day this year remains unchanged from 2018." However there is a wide variation in ‘Mortgage Freedom’ days across the country, particularly when comparing the North to the South. While all home owners in the North reached their ‘Mortgage Freedom’ day in March, those in the Midlands and East Anglia will have to wait until the end of the this month, and Southerners will not ‘celebrate’ until May at the earliest. In fact, while the North and Scotland have seen their ‘Mortgage Freedom’ days move earlier in the year over the past five years, the rest of the UK have slowly seen theirs push further out. At local authority level, new borrowers in Copeland in the North West were the first to ‘celebrate’ again this year, having been the earliest in 2018. It took just 49 days (18 February) for local residents to reach the milestone. In fact, four of the top five earliest ‘Mortgage Freedom’ days fell in the North West. Barrow-in-Furness and Burnley celebrated on 27 February alongside Scotland’s West Dunbartonshire. Hyndburn rounded off the top five - reaching the mark a day later. Unsurprisingly, home owners in London and the South East have the longest to wait. Brent home owners were last to reach the milestone in 2018 (August 11) and will be again in 2019, having to wait until almost autumn (September 5). Harringey (24 August) and Hackney (12 August) residents follow in second and third. When is your ‘Mortgage Freedom’ day? [Monthly mortgage payment] / [take home pay] * 365 = X . X will give you the number of days into the year you will reach your ‘Mortgage Freedom’ day. As with ‘Mortgage Freedom’ day, ‘Rental Freedom’ day, which falls 10 days later on 26 April, follows a similar pattern across the regions. Those in Northern Ireland were the first to achieve ‘rental freedom’ this year, albeit two days later (24 March), followed by the North (1 April) and Yorkshire and Humber (5 April). Tenants in London have to wait nearly four months longer than those in Northern Ireland, not achieving ‘rental freedom’ until 30 July, 12 days later than last year, and 40 days after London’s average ‘Mortgage Freedom’ day.